Hello there, and happy Wednesday! I’m here today chatting about book-to-movie adaptions. With Netflix and Hulu especially, we can look forward to more (hopefully!) amazing adaptations in the coming years. Book-to-movie adaptations are hard because usually there’s already an established fanbase of the book. They have certain things that are imperative to following from the books, and some details, unfortunately, have to get left out. Some adaptations are so bad that the author doesn’t even endorse the movie (can anyone say Percy Jackson?). Today I want to talk about some of the best book-to-movie adaptations that I’ve seen and loved. Dumplin’ Originally a YA novel by Julie Murphy, this movie hit the small screen on December 7, 2018. Thanks to Netflix, people everywhere (in America at least, I’m unclear about the rights within other countries) were able to see this fantastic movie. This movie follows Willowdean Dickson, the fat daughter of a beauty queen. Grappling with the loss of her aunt, Willowdean goes searching to become the woman her aunt always saw in Willowdean. Willowdean decides to rebel by entering the pageant her mother won all those years ago. Let me tell you, guys, I had so much fun watching this movie! I felt that it was a great one with proper representation. This one is definitely one you want to consider watching over and over again. Be sure to check out the book first! You can add it on Goodreads and read my review of it here. I was super excited for this book to become a movie. I absolutely adore Jenny Han, and this series means a lot to me. I was not disappointed! Released in late summer, this movie was perfect to wrap up the season and get people back in the mood for that sweet high school romance. This movie is an ode to sisters and makes itself right at home among the classic 80s movies starring Lana Candor and Noah Centineo. This movie also does a great job with representation thanks to Han fighting for the Song Sisters not to be white-washed. Don’t miss out on this movie! (Unfortunately, it’s only available on Netflix as well.) I highly encourage you reading the book first! Add it on Goodreads. For some reason, it took me a little bit of time to really read this book, but once I did, it was awesome. This movie was phenomenal. I saw it twice in theaters, and both times I cried. The story follows Starr Carter, a girl who feels caught between her worlds of living in her poor neighborhood and going to a wealthier private school across town. When she witnesses her childhood best friend get shot by a white cop, Starr becomes the key witness on the case. Tensions rise and sides are taken. Make it a double-feature and add the book on Goodreads. Originally titled Simon vs. the Homo Sapiens Agenda, this movie is the perfect one to watch on your night in. I absolutely loved the book and when I found out it was becoming a movie I think I squealed out loud. Love, Simon follows Simon Spier, a not-so-out gay teen in Georgia, when he begins exchanging emails with the elusive Blue, another gay student at his high school. As Blue and Simon get to know each other more, their secrecy is threatened when someone blackmails Simon with the emails. Navigating an increasingly tense friend group and his suddenly uncertain relationship, Simon finds he needs to step out of his comfort zone. I highly recommend you read this book first! It was so good, and I love all of Becky’s novels. Add it on Goodreads and read my review. 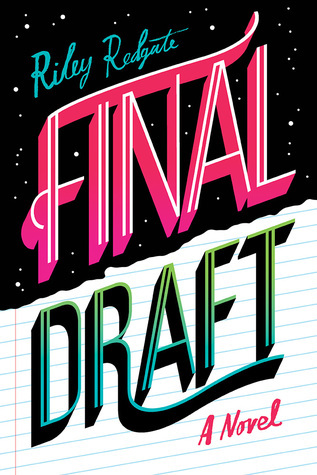 What are some of the YA adaptations that you have seen lately? Have you seen any of these? What did you think? Let me know in the comments below! Hi and happy Sunday! 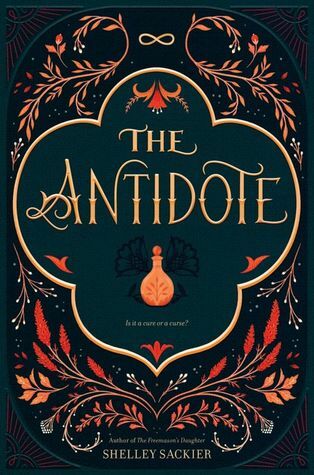 I’m here again with another installment of Sneak Peek Sunday, and today I’ll be discussing The Antidote by Shelley Sackier. I was given an ARC in exchange for an honest review. Thank you to the publisher! I have to be real with you guys, I didn’t really like this book. It wasn’t really my cup of tea. I found the world to be a bit confusing, and I couldn’t really parse out who I was supposed to ship together and who I wasn’t supposed to like other than Princess Quinn. Part of what was confusing to me was the world itself. I didn’t really understand the rules. It seems like part of it was a fake country, but they also had the same rules as an old European country, but also they had magic? I felt this wasn’t explained very well and I felt confused the whole time reading it. I think another part that made me iffy on this book was the dialogue. I felt that it was very stilted and didn’t work in some parts. It didn’t always move the scene forward, and I felt that I got minimal information from it. In the end, I didn’t quite like this book. It wasn’t my cup of tea, but I think you should give it a try!! My opinion isn’t the end all, so you should read it for yourself. I’m so excited to be on this blog tour! Here is one of my highly anticipated reads, Our Year of Maybe by Rachel Lynn Soloman. Last year, Soloman debuted with her novel You’ll Miss Me When I’m Gone, which was also featured right here! Check that out here. 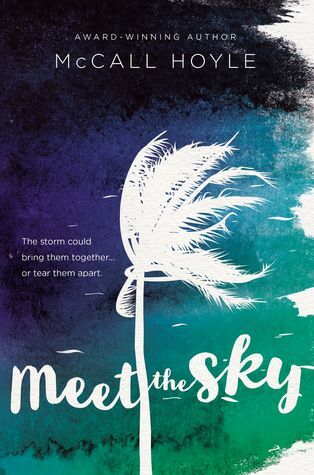 I was lucky enough to win an ARC in Rachel’s newsletter. Rachel Lynn Solomon lives, writes, and tap dances in Seattle, Washington. Once she helped set a Guinness World Record for the most natural redheads in one place. She’s the author of You’ll Miss Me When I’m Gone (out now from Simon & Schuster/Simon Pulse), Our Year of Maybe (1/15/19), and Today Tonight Tomorrow (2020). A short story of hers will appear in the anthology It’s a Whole Spiel (Penguin Random House/Knopf, fall 2019). This was such a fun read!! I couldn’t turn the pages fast enough. I absolutely loved Rachel’s debut, You’ll Miss Me When I’m Gone and I had high hopes for this one. One of the main characters and I even share a name! I love the dual POV in the book. I felt that Rachel really got into their heads, and it was well written. Sometimes I felt more connected to Sophie, but other times I felt more connected to Peter. I wish I could meet them IRL! I especially liked the new dance friends that Sophie makes. They reminded me a little of Bebe and Denice from Eleanor & Park. There are a lot of different elements in this book, from religion to sexuality, Soloman writes in a respectful but real way. I’m always captivated by her writing. Each piece is woven in with skill that I admire greatly. 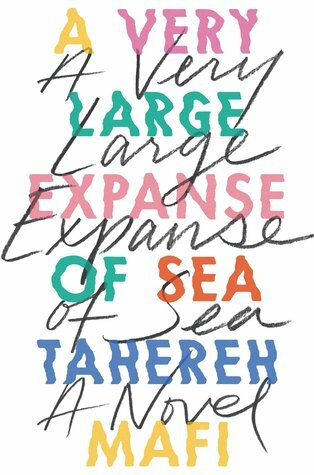 I really like her realistic portrayal of sexual health and masturbation in this book. This is also done in You’ll Miss Me When I’m Gone, and it needs to be done much more often in YA. This fights against the stigma, especially for women, in a positive way, and this definitely won points in my book. Religion is another theme embedded within this novel. I like how Peter wants to find his and what it means to him while Sophie doesn’t really practice. It provides a good picture of how people approach this topic. I related to Peter when he talked about being caught between worlds, how he didn’t feel like he was enough of something to really claim the label. I often feel this way toward my race (Asian) because there is such a stigma and discussion about what makes someone “truly” something. For the sake of keeping this from getting too long (seriously, I could wax poetically about this book all day), I’m going to wrap it up here. I really hope you guys read this amazing book! Here’s a playlist I created for the book! Unfortunately, I don’t know much Rufus Wainwright, much to Peter’s chagrin. I did include a lot of angsty songs (this book is so angsty and I love it), and one BTS song that I felt really fit the book! Here are a few of my favorite quotes from the books! He is the earth, and I am the moon. I have never been enough, and he has always been too much. There’s something else, though, something that takes me a few moments to identify—a pang of missing. Like I miss Sophie even though she’s right here, gliding along the ice in her gray beanie, fiery hair peeking out from beneath it. 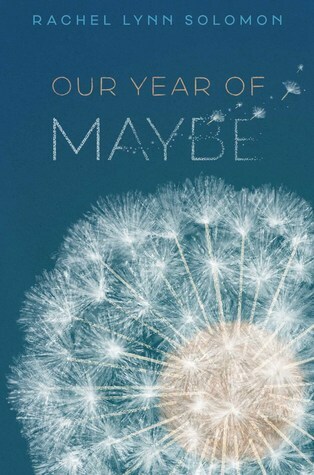 Prize: One (1) SIGNED copy of Our Year of Maybe. Happy new book Tuesday! There are so many amazing releases today (Once a King by Erin Summerill, Queen of Air and Darkness by Cassandra Clare, Fire and Heist by Sarah Beth Durst, to name a *few*). I wanted to take a moment to highlight the release of the amazing book Truly Devious by Maureen Johnson. This book came out this past January, and it was absolutely incredible. I even posted a review on it. Ellingham Academy is a famous private school in Vermont for the brightest thinkers, inventors, and artists. It was founded by Albert Ellingham, an early twentieth century tycoon, who wanted to make a wonderful place full of riddles, twisting pathways, and gardens. “A place,” he said, “where learning is a game.” Shortly after the school opened, his wife and daughter were kidnapped. The only real clue was a mocking riddle listing methods of murder, signed with the frightening pseudonym “Truly, Devious.” It became one of the great unsolved crimes of American history. Thanks to the publisher I’m giving away a copy of Truly Devious! The giveaway will end on December 11, so make sure to enter by then! U.S. and Canada only please. Be sure to follow the link to the Rafflecopter! Hi there! Let’s start off the day by welcoming this awesome new book into this world! Three candidates, three platforms, and a whirlwind of social media, gaffes, and protests makes for a ridiculous and hilarious political circus in Gordon Jack’s second highly satirical novel. Perfect for fans of Andrew Smith and Frank Portman. They say that with great power comes great responsibility. Unless you’re student body president at Lincoln High School. Then you get all the responsibility but none of the power. And the three candidates running for president know all about that. Stacey Wynn is the front-runner, but she didn’t count on Julia Romero entering this race. Julia is challenging Stacey for the title while also putting the moves on Stacey’s campaign adviser and only friend, Brian. And then there is Tony Guo, the way outsider. Tony is usually oblivious to the school’s political campaigning, as he’s oblivious to anything that isn’t about getting high and drinking all the Space Cow chocolate milk he can stomach. But when his favorite beverage is banned at school, a freshman political “mastermind” convinces Tony to become the voice of the little guy. But what kind of voice is that, really? If this were an ordinary high school election, the winner would be whichever candidate was the most popular. But this year, each candidate may have to sink to a new low to win an election that could change the course of…very little. Gordon Jack always wanted to be a writer. In third grade, he put that on his “What I want to be when I grow up” list, just behind astronaut and professional dog walker. While working towards this goal, he had jobs as an advertising copywriter, English teacher, librarian, and semi-professional dog walker.The Boomerang Effect was his first novel. He lives in San Francisco with his family. 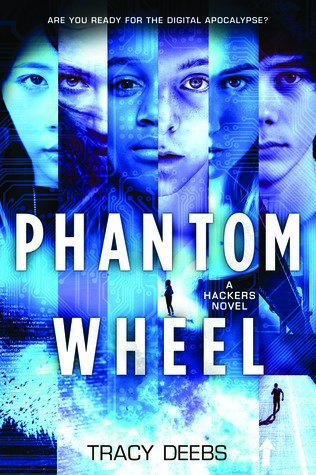 I really enjoyed this book, and I really enjoyed all the different voices represented in this novel. The cast of characters were engaging and dynamic, and they had their own motives for acting the way they did in the novel. The very beginning was really good, and it hooked me until the end. The more I read, the more I wanted to know more about them. I didn’t really like Stacey and Tony, but I think they were still dynamic characters. They had a lot to grow from. I didn’t really connect to them on a personal level. I think Julia was one of the most relatable characters. Her feelings of not fitting in because of her culture and the way she looks was something I feel many people can understand. I think it’s important to note that she resisted a lot of the racialization that people did of her. The premise of the student government was really well done. 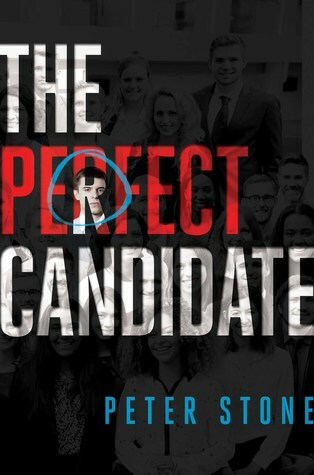 I really enjoyed reading about the different strategies used by each candidate. I think they really represented different approaches used by politicians today. Overall, this was a fun read. I wish I had had more time to read it at a time! Please check out the rest of this awesome tour!